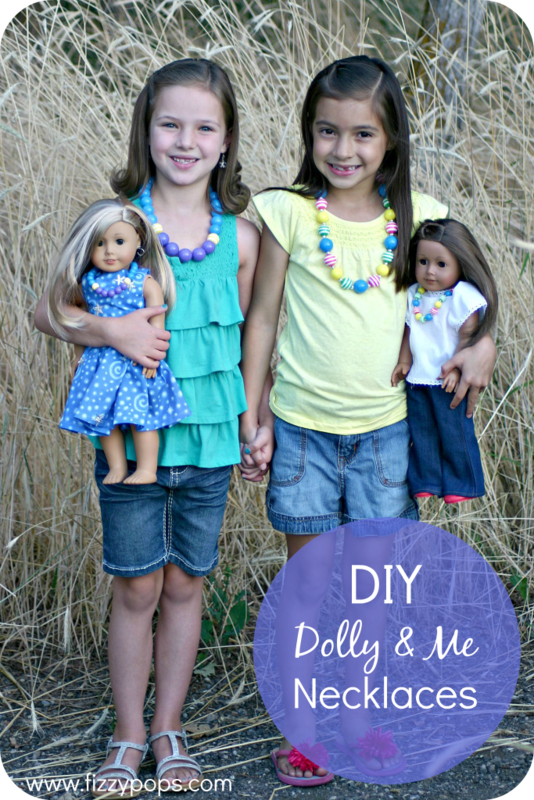 Meet Presley and Ellie and, of course, their dolls, Rosie and Izzy. 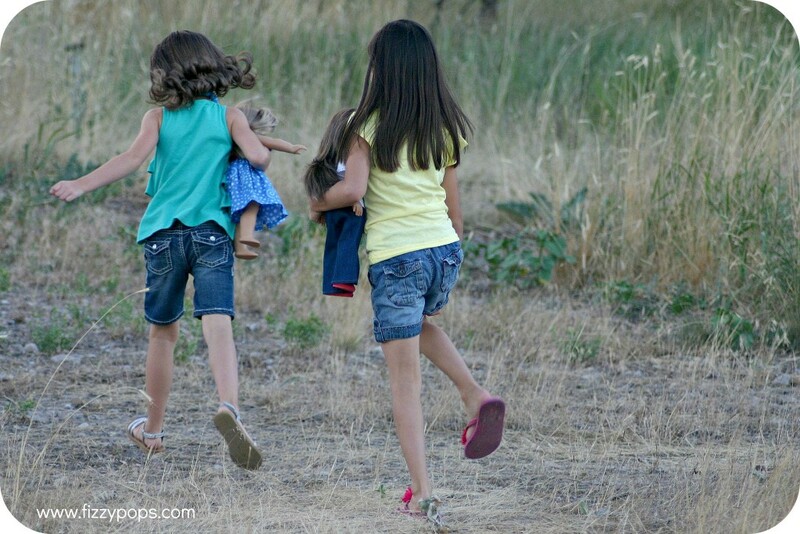 We had so much fun capturing these photos. The girls were naturals - posing and smiling just perfectly. I loved their giggles, beautiful smiles and missing teeth! 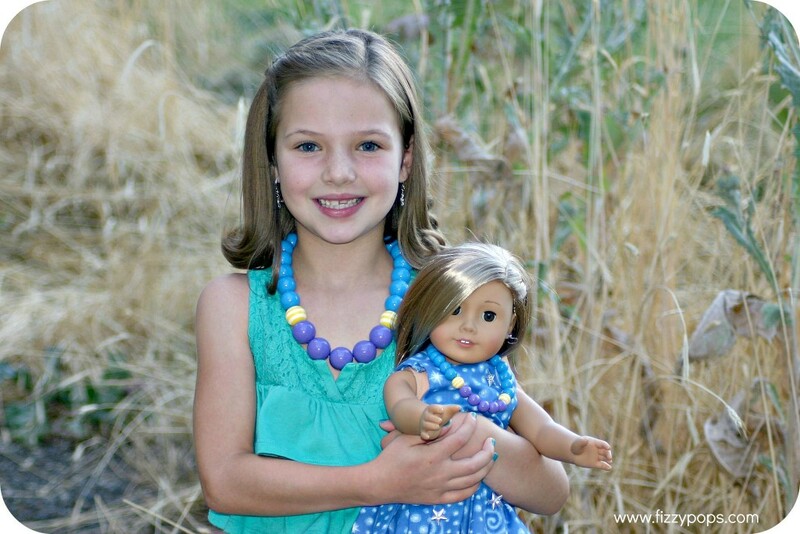 I just love this age, especially how much they love their dolls. 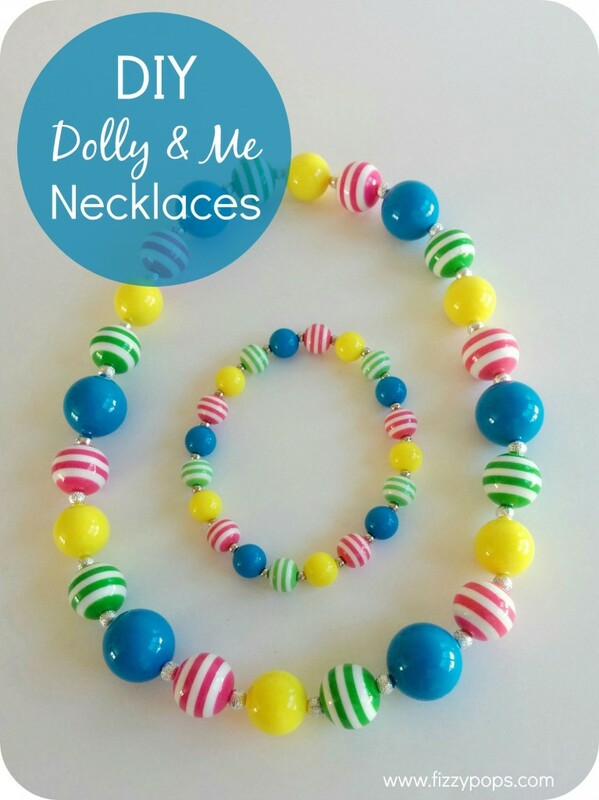 A fashionable necklace for a little girl and a matching necklace for her dolly are a must! 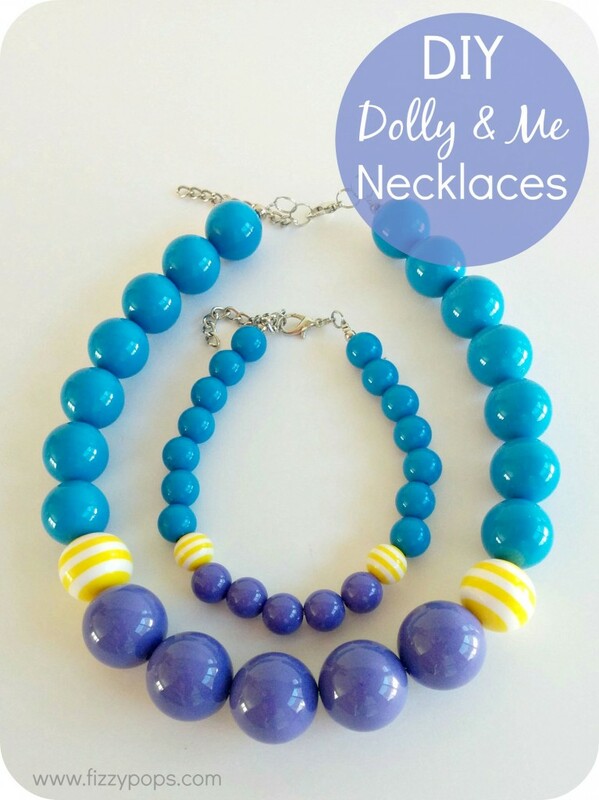 These necklaces are designed with you in mind, beads and stringing holes are large enough for little hands to help with crafting (with a little supervision from Mom). We even have tutorials to help you assemble them with ease. This would also be a fun idea idea for a birthday party activity! Of course, don't forget to take advantage of our Summer Promo and get 10% off your purchase until 02/14/2015. 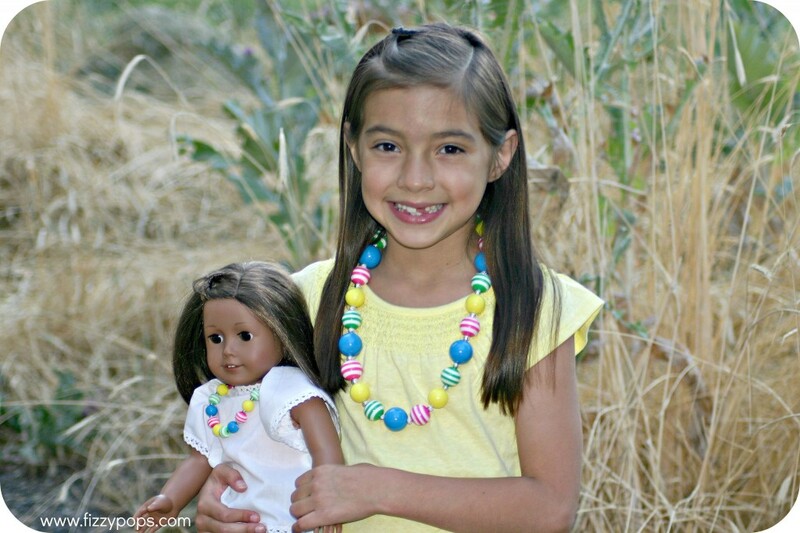 Lastly, be sure and check out our DIY American Girl Doll Crafts and Accessoriesfor even more great inspiration! * A very special thanks to Presley, Ellie and their dolls, Izzy and Rosie for being our Fizzy Pops models.